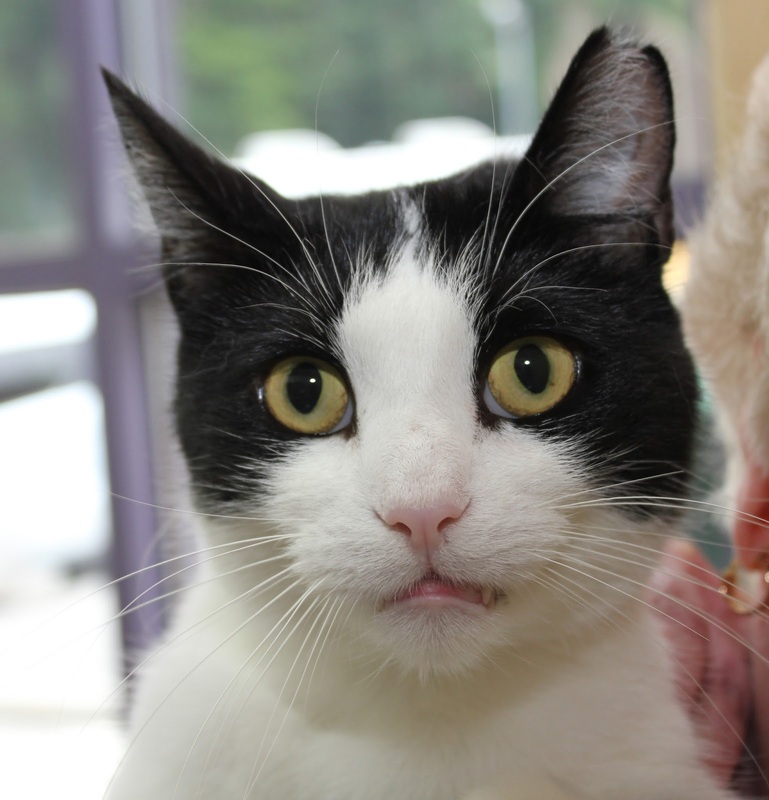 Did you know that February is Pet Dental Health Awareness Month? Because 70% of cats and dogs 4 years or older are affected by periodontal disease, we are committed to helping you keep your companions safe and healthy. Periodontal disease is preventable with proper attention and care. Below are some tips to provide the best oral care for your pet. Unusual scents coming from your pet's mouth could indicate that there is something wrong! Additional warnings of poor dental health are bleeding gums, yellow or brown teeth, pawing at the mouth and loose or missing teeth. Brushing your cat or dog's teeth may seem intimidating at first, but you can begin by letting your pet smell the toothbrush and pet toothpaste (human toothpaste is not safe for pets!) Over time, you can gradually ease into brushing on each side of the mouth for a few seconds. Consider toys, treats and food that are designed to improve oral health in pets by removing troublesome plaque. Before purchasing, look for the Seal of Acceptance from the Veterinary Oral Health Council. A thorough dental appointment will include an exam of your companion's head and neck to check for abnormalities as well as the teeth and gums to look for redness, swelling or bleeding. To remove pesky plaque and clean your pet's teeth well, veterinarians recommend putting them under anesthesia. And, we couldn't forget about those bunnies! Rabbit teeth differ from the teeth of cats and dogs because they continue to grow for their entire lives. This is a characteristic that can be found in animals who naturally eat tough, fibrous plants and vegetation. 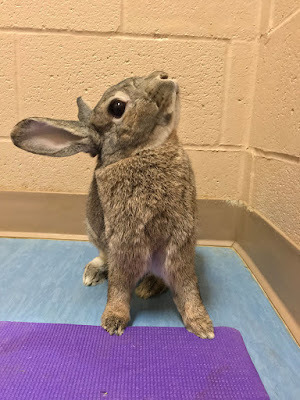 You can't brush rabbit teeth, but below are some tips to care for your bun's oral health! 80-90% of a rabbit's diet should consist of fibrous grass hay. Fed a low-fiber diet, the molars get too long, the upper molars curve sideways and form a sharp spike that cuts into the cheek, and the lower molars curve inward and form a spike that cuts into the tongue. To avoid these painful oral problems, it is vital to keep track of your rabbit's diet. Monitor your rabbit for changes in behavior such as: if he stops eating hay and pellets, if he is eating less food overall, if he runs up to the food as if he’s hungry, sniffs it, then walks away without eating, if he has episodes of anorexia that recur every few months, if you find moisture around his mouth or on his chin, or a sour odor to his breath. If you notice these, there may be dental problems. When you take your bun for their yearly exam, be sure the veterinarian checks their teeth. Most emergency vet trips are due to dental issues! You may think rabbits only have the first two teeth you see in the front, but they really have 28! A good type of toy to offer your bun are wood-based toys to wear down the teeth similarly to how they are worn down in nature. We hope these oral health tips are helpful in keeping your pet safe, healthy and happy for many years to come. 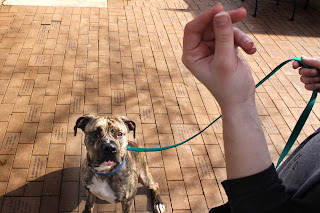 Having trouble teaching your canine friend to sit on command? 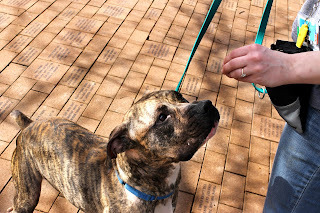 We have a few tips and tricks to help you help you and your pup work on their doggy manners. It's much easier than you think! 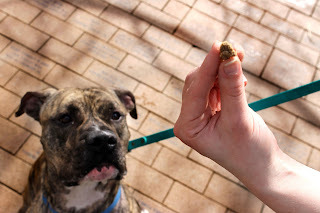 Hold a lure (a tasty treat or toy that a dog loves) in front of his face at nose level. Let him sniff it so that he realizes you are holding something he likes. Slowly move your hand with the lure in it from the dog's nose up, along the top of his muzzle, between his ears. The treat should be held high enough that the dog has to crane his neck, but not so high he needs to jump up. When your dog looks up at the lure, he will probably sit to maintain his balance. Once the dog sits reliably with a lure, try to drop the lure and simply use your empty hand as a signal by following the steps above. Every now and then give the dog a jackpot – a handful of treats as a huge reward. Occasional jackpots keep dogs working, hoping to hit the jackpot. If trained properly, sit should become the dog’s default behavior (e.g., the behavior the dog offers anytime he wants something). 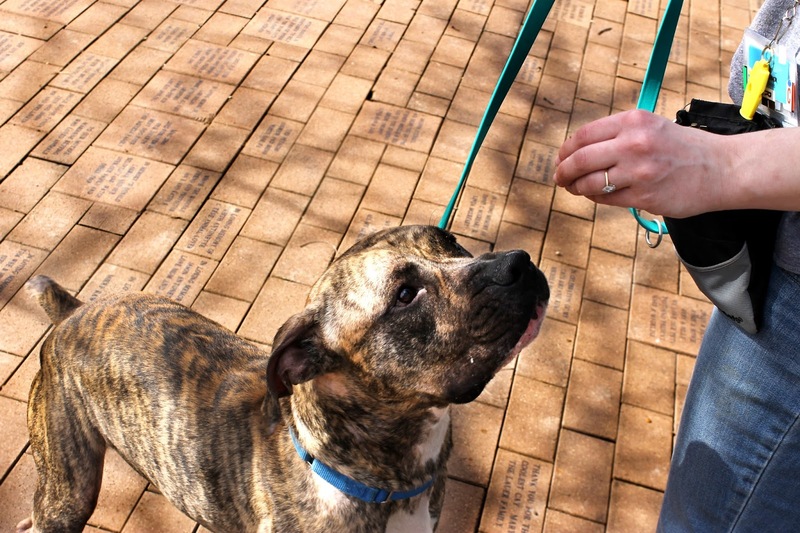 Don’t reward the dog if he jumps or paws at you, or otherwise acts pushy when asking him to sit. If this happens, withdraw the lure and turn away from the dog, then start again. Teaching your pooch simple commands like "sit" can strengthen the bond you share, leading to greater trust and more affection! 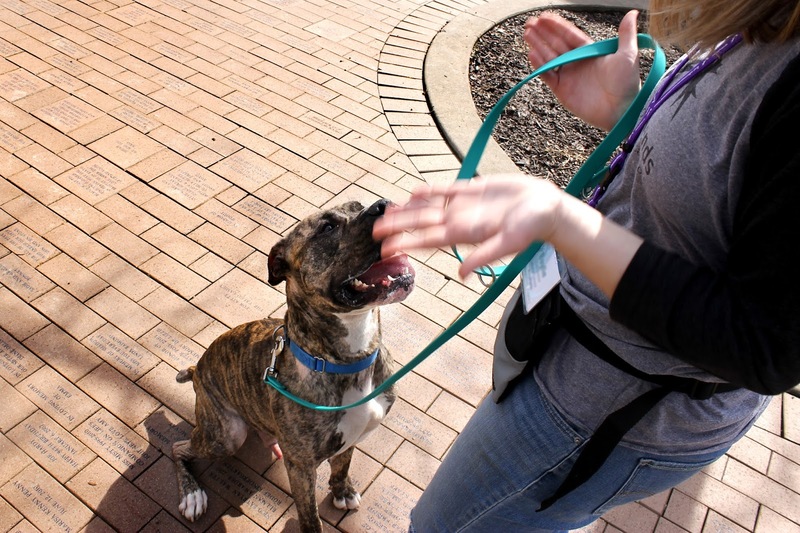 Sit could be the first step to a long, enriching life with you for your canine family member! Some visitors to Animal Friends find a dog, cat or rabbit who is just right for them on their first visit. Others come back several times, waiting to find their perfect match. And then there are those who find exactly who they’re looking for without ever stepping foot inside the building. 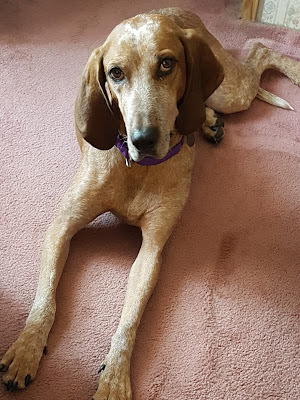 After losing his 12-year-old Coonhound mix, Maggie, to an unexpected illness, Josh knew he could never replace her. 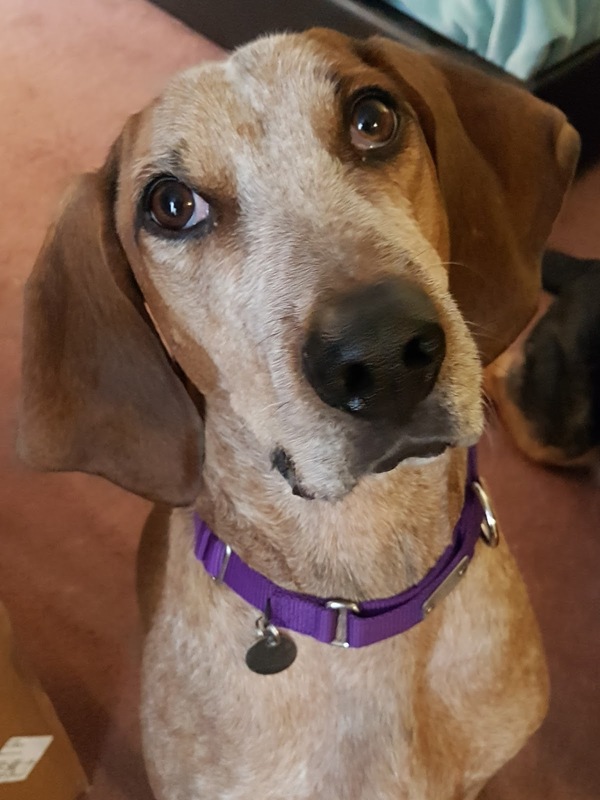 She was one-of-a-kind, but something told him there was a place in his home and heart for another hound. So, Josh began searching online for a dog who needed him just as much as he needed them. 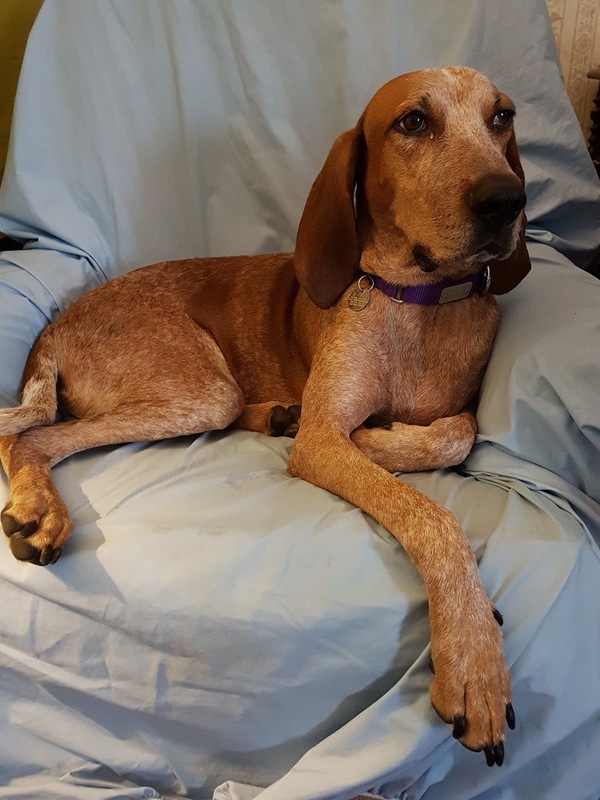 Soon, Josh came across the profile for our very own 6-year-old English Coonhound named Delight. She needed a patient family, one who would be willing to take the time to work with her. You see, Delight had a very timid nature and, while her closest human friends knew how sweet and friendly she was, her shyness made it hard for new friends to see her true colors. Thankfully, when Josh came to visit her, he was willing to wait until she was comfortable. Before long, he was getting to know a sweet dog who was gently sniffing him and searching for a peaceful place for a nap. A few days later, Josh returned to Animal Friends with his two dogs so they could meet Delight. Everything went well, so Delight officially became “Ginger” and was on her way home! Once she arrived, Ginger was a little unsure. She took her time sniffing around her new home, exploring her big, fenced-in yard and getting to know her new canine brother and sister. After a few short days, it was clear that Ginger was home. 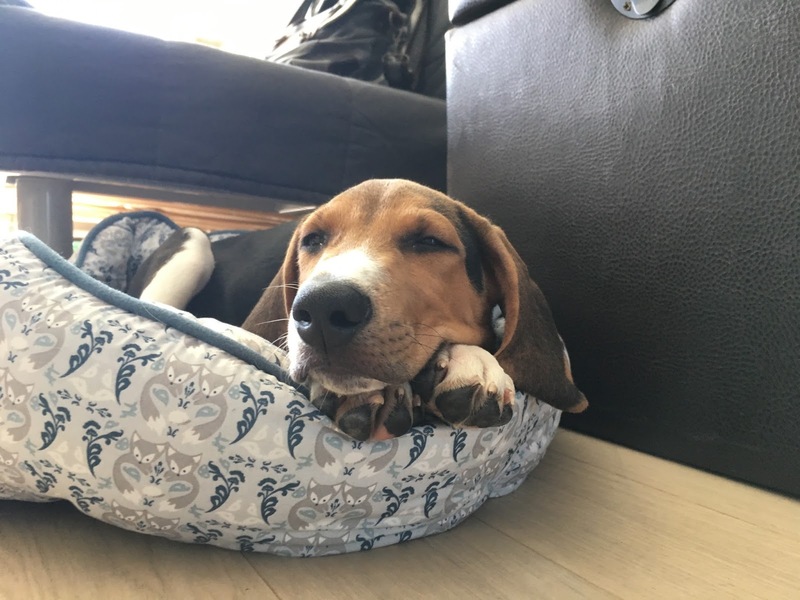 It’s been about a month since Ginger found her new family and things have been great! Josh and Ginger enjoy each other’s company every day and, if you ask him, it seems like Ginger has been part of the family for her entire life. Meet Orrie (short for Orrville)! 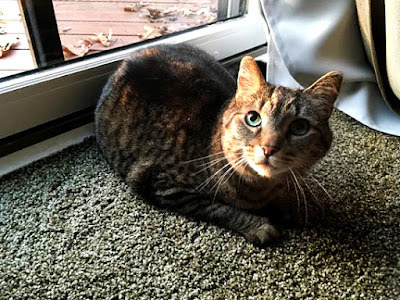 She’s a 9-year-old cuddly domestic shorthair with a gorgeous brown tabby coat. Orrie’s ideal home would be one that is quiet and stress free where she can continue living the life that she’s used to as an indoor cat. She is very gentle and so affectionate, but young children and other pets tend to make her nervous, so she’d rather join a family with older members where she’ll be the only pet. When things are nice and calm, Orrie’s favorite thing to do is curl up on a warm lap and purr the day away. 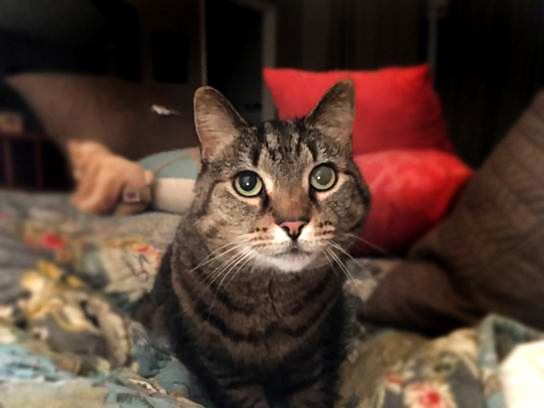 If you have a cozy and welcoming home with room for a sweet feline member, get to know Orrie! You can contact her current family at wnatali116@gmail.com. 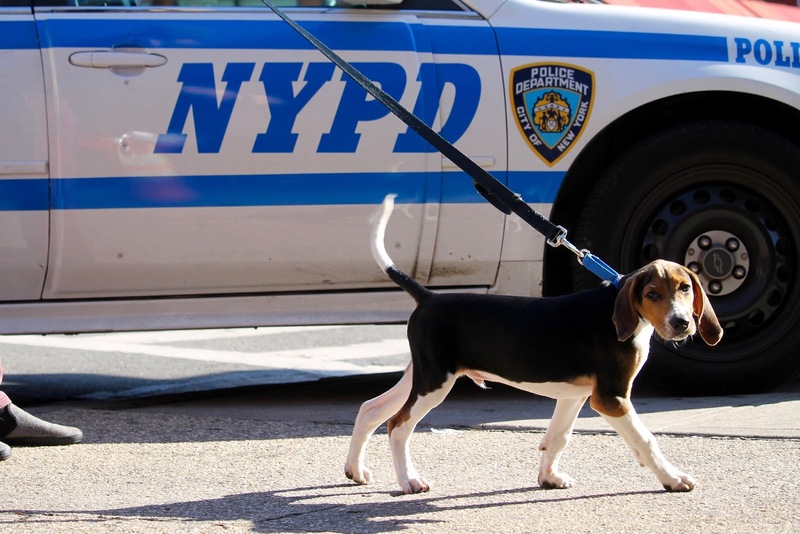 It all started in August when Wonder Woman, a young Treeing Walker Coonhound and her litter of newborn puppies were transferred to Animal Friends from another shelter. The playful puppies were all given superhero names like their mother … Batman, Supergirl, Ironman, Huntress, Superman and, of course, Aquaman. 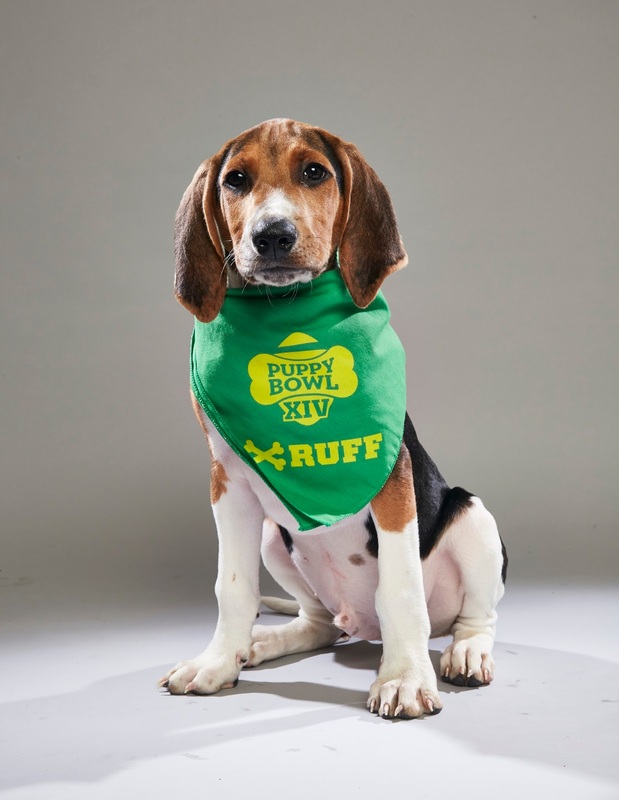 When they were just a few days old, a call went out to shelters across the country – Animal Planet was in search of the stars of Puppy Bowl XIV. So, these adorable pups put on their best face and struck a pose for the camera. We sent Aquaman's photo off to Animal Planet and crossed our fingers! A few weeks later, the great news arrived – Aquaman had been selected to compete in the big game! With just a short amount of time to prepare, Aquaman set his sights on the Lombarky Trophy and the coveted title of MVP (Most Valuable Pup). The filming of the Puppy Bowl was to take place in New York City in October, so when the time came, Aquaman hit the road and was on his way to the Big Apple. About 7 hours and a few bathroom breaks later, he had arrived! 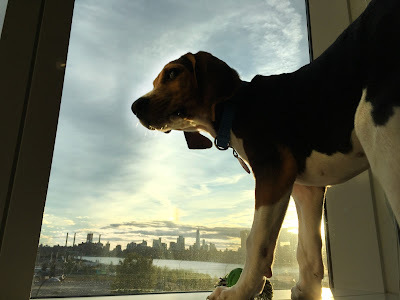 Aquaman had celebrity-style accommodations for the trip, complete with a breathtaking view of the Manhattan skyline – but the big city wasn’t the least bit overwhelming for this little pup! Aquaman took in the sights and sounds of the city that never sleeps and made plenty of new friends along the way. 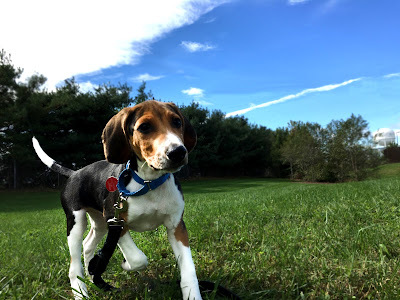 After all, just shy of 3 months old, socialization is very important for a young puppy. And, he was sure to stay out of trouble – you know reputations are very important for a professional athlete. This handsome little guy needed his rest though. The next day was going to be a big one as he would head to the filming and be one step closer to making his television debut in the biggest sporting event in the canine world! 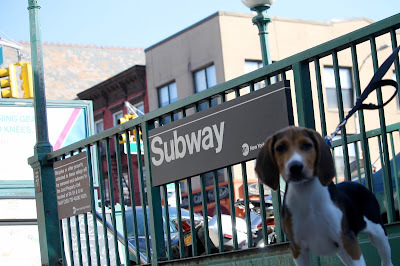 The next day, Aquaman was up bright and early and made his way downtown for the Puppy Bowl. 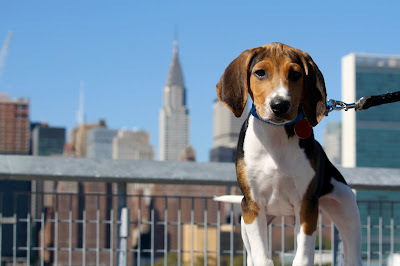 Once he arrived, he got to meet the other athletes – more than 90 puppies from across the country. 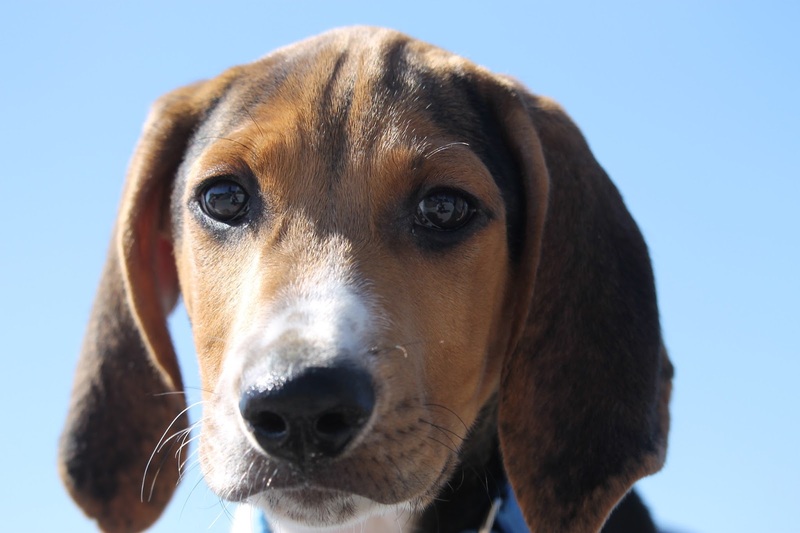 The puppy competitors had traveled from as far as Tennessee, Arkansas, Colorado and California. It was a whirlwind of a day as Aquaman posed for photos, filmed Puppy Bowl promotions, got a DNA test (now there’s no doubt, he’s 100 percent Treeing Walker Coonhound!) and enjoyed some valuable socializing with the other puppies and their handlers. And then it was off to the television set for the game to begin! 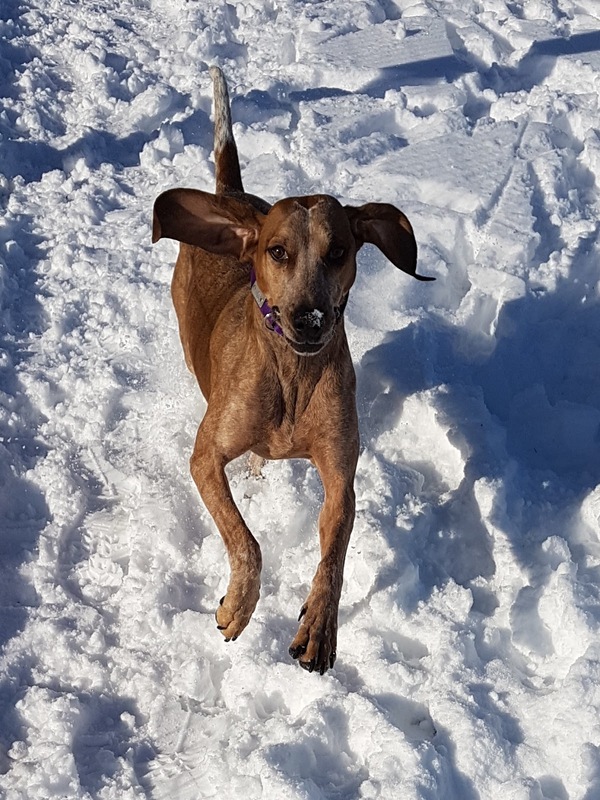 We don't have any spoilers about who won the big game, but keep an eye out for Aquaman – who has since been adopted and will be called by his new name “Dak” during the telecast – as he struts his stuff up and down the field. 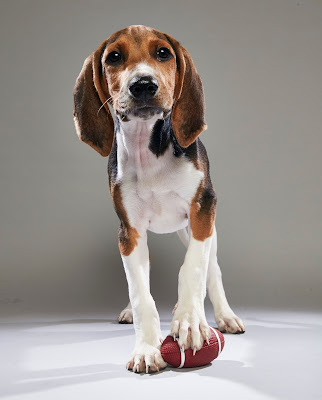 Whether he scores the game-winning touchdown or is flagged for unnecessary cuteness, there are plenty of loyal fans back at Animal Friends who are proud that Dak is representing Pittsburgh in Puppy Bowl XIV! The Puppy Bowl will air on Sunday, Feb. 4 at 3 p.m. on Animal Planet. Tune in to watch as Dak competes to bring the Lombarky trophy and the Most Valuable Pup title to Pittsburgh and Animal Friends! To celebrate the Puppy Bowl and Dak's world premiere, we're hosting The Ultimate Tail-Gate! This adoption event will run all weekend long with our very own mini Puppy Bowl taking place on Sunday from 11:30 a.m.-12:30 p.m.